As project manager for iba, Claudia Weidner is well aware of the major logistical, technical and practical challenges arising from staging a major global industry trade fair. The executive explains with great enthusiasm that this year’s event in Munich is coming together in timely fashion, after three years of preparation and painstaking research visiting key clients around the world. Having originated in 1949, this key bakery and confectionery event held every three years, has grown to become a leading international showcase for industry equipment and processes, as well as proving a key hub for exchanging ideas and innovative practice. For the last event in Germany in 2015, a total of 77,000 visitors came from well over 100 countries to examine the latest sector trends. With the bakery product market continuing to expand to an estimated $530 billion by 2023, there is anticipated to be strong demand for this year’s iba, taking place between 15-20 September. Its halls will be packed with a number of special features including virtual bakery tours, key topics including the to-go market, and a speaker’s corner addressing offering market insights. 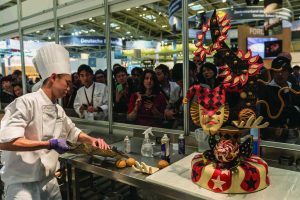 With the six-day show attracting 1,350 exhibitors from the bakery and confectionery world ranged across 132,000 square metres of floor space, a considerable range and depth of innovation is anticipated across the fair. 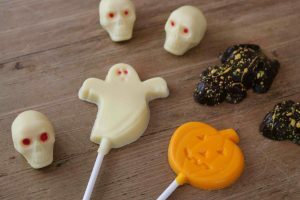 Speaking exclusively to Confectionery Production, the project manager believed this year’s fair held particularly strong prospects. “Iba is a very special event as it serves all areas of the bakery trade, as well as confectionery – from small artisan businesses, through to some really large companies. One of the really remarkable things about it is that you can see all the machinery in action and smell the bread, rolls and other baked goods that are being made on the site. It gives the exhibitors the chance to show what they can do, which is something that visitors love too,” explained Weidner. She added: “For us, the most exciting part of it all is when the doors first open and you can see what you’ve worked towards. It’s a very special occasion, as we work closely with the exhibitors, and for them this is the real opportunity to launch equipment to the world. It’s a melting pot of innovation – this is what makes it an important event,” explained the project manager of the Munich trade show. Among the event’s brand new elements is the iba digital marketplace, an online service offering a complete guide to special activities and exhibitors participating in the show, which organisers believe will make a major difference to visitors’ planning – www.marktplatz.iba.de/en. 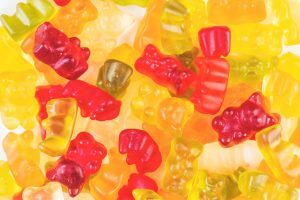 Other new areas of interest include it’s iba to go hall (b3), which represents a first in combining snacks and baking innovations at a central point – in which the entire chain of snacks will be presented, from ingredients through to sustainable packaging. Linked closely to this will be “iba Operate” a hall focusing directly on packaging and processing solutions – which will doubtless prove an especially popular zone of this year’s event. “There is a real focus this time with the whole overall experience that visitors have, and we are trying to offer both them and those who are exhibiting the best chance to make contact. Through coming to the trade show we hope that it will show people how to offer them more creativity and show them what they can do to make further enhancements to their businesses,” explains the organiser, who said its teams had travelled to 50 countries around the world in order to help refine the event for 2018. As she explained, one of the key elements has been the show’s series of special events and live demonstrations, which offer highly engaging experiences. According to the project manager, iba has remained at the forefront of highlighting major breaking trends within equipment and processes for the sector. 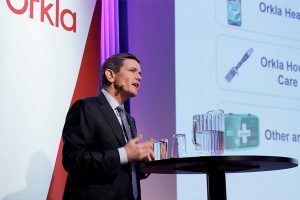 While many manufacturers are keeping relatively tight-lipped on precise details of equipment being launched in Munich, Weidner believed digital solutions addressing industry 4.0 requirements would be a signature theme. In terms of equipment, visitors can expect a considerable focus on machinery that delivers greater levels of energy efficiency as part of ongoing sustainability developments from many manufacturers. 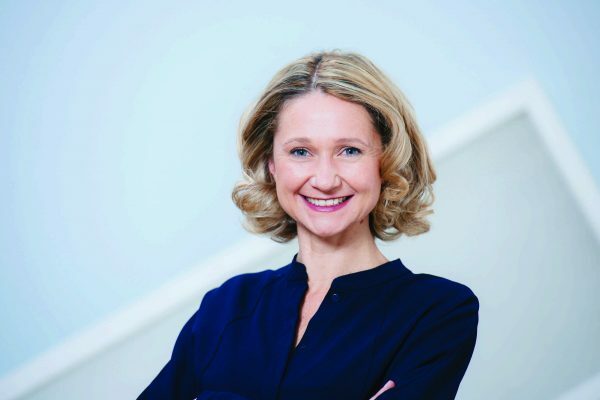 Claudia added; “Another of the biggest trends has been in digitalisation, which will play a huge part of IBA. This will be in a number of forms including through the speakers corner that is set to show what opportunities there are for digital developments and production optimisation, changing business models and improved use of social media, as well as looking at issues relating to point of sale. There will also be a special day organised by the VDMA (German manufacturing association) on industry 4.0, with the packaging and labelling market being one of the areas of production that is already quite advanced with this,” added the project manager who felt that it was important that continual refinements to the show are made. Having experienced the event for nearly a decade as a project manager, there must surely have been many challenges and changes over the years? “The baking industry has changed significantly over the years. It appears there are less smaller companies around and it is the larger businesses that are more prominent, but we of course have a lot of smaller enterprises that are coming to visit the show, with many of them being quite specialised. That’s the really interesting thing about IBA, is that is a reflection of the market. With the international event calendar offering many choices to those working within sector, iba’s project manager says it remains a challenge to maintain its position as a leader within the sector. But as she added, the organising team is already making headway on preparations for the following Iba in 2021, which will require considerable analysis of exhibitor and visitor feedback.